Echinacea. I know you’ve heard of it. It’s probably the most well known medicinal herb in the US. And probably most of what you’ve heard is wrong or at least misleading. This is what happens when an herb goes mainstream. Studies get done, most of them badly. The herb ends up in all sorts of products brought to you by the herbal industrial complex. Now, it’s not all bad. People become more familiar with herbs, they get used to the idea of taking herbs, maybe they are inspired to learn more. But the poor herb does tend to get pigeonholed and sometimes distorted. Echinacea was introduced to the settlers here by the locals who used it for snake and insect bites. Hence the name snakeroot. I’m not going to go through the whole history of the herb. Suffice it to say that at one point someone discovered it could speed the progress of a cold or flu virus making it go away sooner. Needless to say, that was a great selling point. Unfortunately it obscured the true action of the herb and resulted in people thinking they should take it all the time, as a kind of insurance against colds. I find it very useful to look at herbs energetically. What is it that they do, in a very fundamental way? 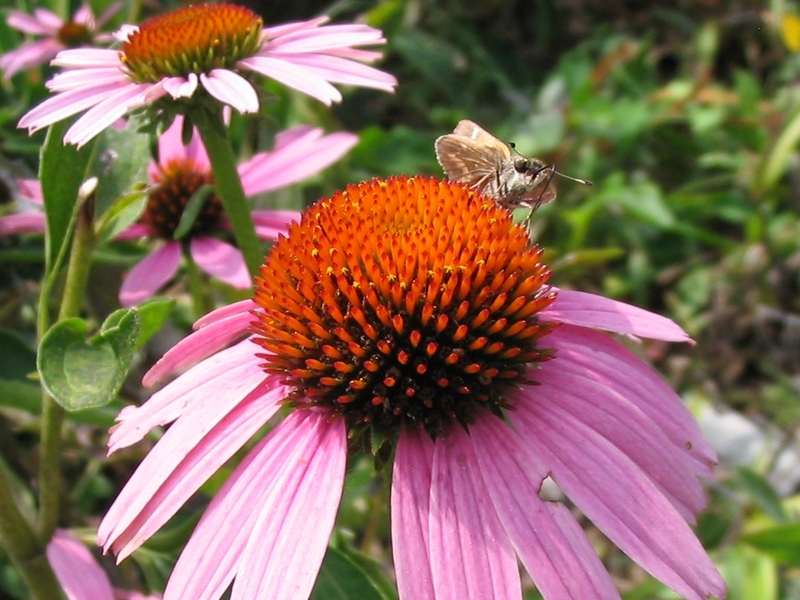 In echinacea’s case, it clears heat and congestion. This makes it useful for various hot, inflammatory conditions; particularly those caused by a poison. It is a great herb for insect bites, snake bites, and infections – both internally and topically. It speeds the elimination of toxins and it does stimulate the immune system and it will help you to get rid of that cold a bit faster. However, echinacea is not an immune tonic. It is not meant for long term continuous use. If you are looking to bolster your system so that you avoid getting a cold in the first place, you need to look to other herbs and foods and practices to help you. You want to have good nutrition, get good sleep, and keep stress to a minimum. This content is not intended to replace conventional western medical treatment. Any suggestions made and all herbs listed are not intended to diagnose, treat,cure or prevent any disease, condition or symptom. All materials on this website/email are provided for information purposes only and should not be considered medical advice. Always check with your personal physician when you have a question pertaining to your health and healthcare.